I live in the Myrtle Beach area of South Carolina and my love of photography began at age seven when I received a Keystone 110 camera for my birthday. A few years later I thought it was a spectacular upgrade when I was given a Kodak Disc 8000 camera (it had a digital clock on the front, WOW!). In high school and college I became intrigued with SLR cameras and was a photographer on the newspaper and yearbook staffs. After earning a BA degree in Journalism and Mass Communications from the University of South Carolina (Go Gamecocks!) in 1994, I continued on with photography in the corporate world with a 10 year run at the Myrtle Beach Area Chamber of Commerce, where I also worked in PR, marketing, graphic design and web design. In 2004, I walked away from corporate America and stepped out on my own in the world of self employment. 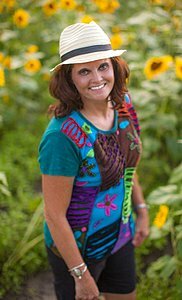 I'm now a freelance photographer with an emphasis on portrait photography, real estate photography, and scenic photography. When it comes to portraits, I am primarily a natural light photographer, and I prefer candid lifestyle type portraits. Meaning, yes, we'll get some of the typical poses, but we'll also have fun and let your personality shine through in your photos. I love hearing photo ideas from everyone (especially kids) at portrait sessions. And I'm also a graphic/web designer and a portfolio of that work may be viewed at SplashStudio.biz. In the summer months I spend a lot of time volunteering for the North Myrtle Beach Sea Turtle Patrol. Several of my sea turtle photos have been featured in local publications. My photography was featured on the cover and in an article inside of the June-July 2012 issue of Grand Strand magazine. And many of my photos were included in the Fall 2012 issue of Santee Cooper's Power Source magazine. RANDOM FACTS ABOUT ME: I'm terrified of fireworks. I've placed 1st, 2nd, and 3rd place in a few surf kayak rodeos. I've completed a few mud runs and a lot more half marathons. I'm addicted to lip balm. I won a breakdancing contest in middle school. I'm a sea turtle hatchling whisperer. I've been swarmed by 8-10 foot long sharks while scuba diving. I'm a martial arts student. I like my eggs well well well done. I've jumped out of a perfectly good plane. And my one and only hot air balloon ride crash landed (as gently as possible) in a field while the wind drug us along in the dirt for a while. I love my family. Last, but most importantly, I am a child of God. For more info on my bio visit my LinkedIn profile. 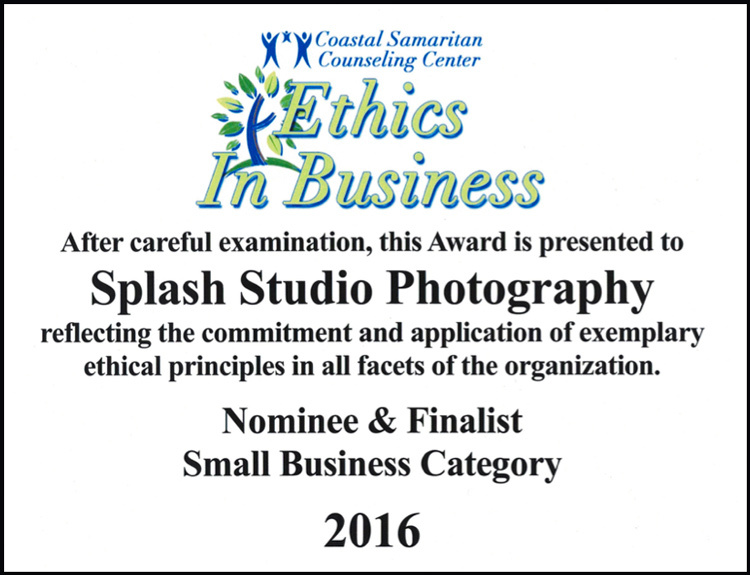 2017 Ethics in Business Indivudual Award Winner. 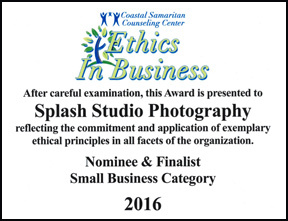 2016 Ethics in Business Award Finalist.